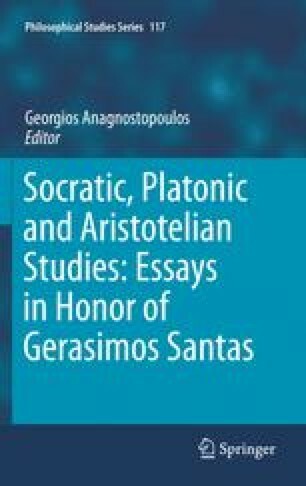 In his treatment of Plato’s Republic, Gerasimos Santas emphasizes that there are two ways Plato approaches the good: “good as well functioning and good as perfect form” (2001, p. 58). Through much of the Republic Plato seems to appeal to the function of what he discusses to determine what that thing’s good is. For anything with a function, its good should be performing its function well. Santas’ focus on the role of function in the Republic is illuminating, and it is our purpose to expand upon his analysis. Let us consider some object that is manufactured, for example a book or a paper-cutter; here is an object which has been made by an artisan whose inspiration came from a concept. He referred to the concept of what a paper-cutter is and likewise to a known method of production, which is part of the concept… . Thus, the paper cutter is at once an object produced in a certain way and, on the other hand, one having a specific function… . If man, as the existentialist conceives him, is indefinable, it is because at first he is nothing. Only afterward will he be something, and he himself will have made what he will be. From this equality of ability, ariseth equality of hope in the attaining of our ends. And therefore if any two men desire the same thing, which nevertheless they cannot both enjoy, they become enemies.